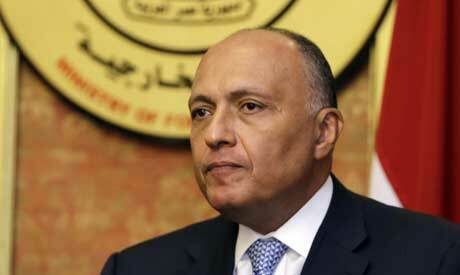 Egypt's Foreign Minister Sameh Shoukry will start a two-day visit to the Japanese capital Tokyo on Wednesday to attend the ministerial meeting of the Tokyo International Conference on African Development (TICAD), scheduled for 6 and 7 October, Egypt's foreign ministry spokesperson Ahmed Hafez said. Shoukry will also meet with Prime Minister Shinzo Abe and other Japanese officials to discuss boosting bilateral cooperation and regional issues of common interest. "The foreign minister's visit to Tokyo reflects the depth of the historical relations between the two countries, which date back to the 19th century, as well as the keenness of the political leadership in the two countries to develop ties on all levels," the FM statement said. Hafez noted that the Egyptian FM has an intensive schedule in Japan, which will include attending the Egyptian-Japanese Strategic Dialogue session along with his Japanese counterpart, as well as meetings of the Japanese-Egyptian Business Council. The spokesperson stressed that the visit to Cairo by the Japanese Prime Minister in January 2015, as well as Egypt’s President Abdel-Fattah El-Sisi's visit to Japan in March 2016, reflected the deeply rooted historical relations between the two countries. He added that bilateral cooperation between the two countries covers many fields, especially in electricity and infrastructure projects in Egypt such as the Dairout barrages, the expansion of the Borg Al-Arab International Airport and the renovation of power plants, as well as the cooperation in education through the Egyptian-Japanese partnership programme. “Trade exchange between Egypt and Japan reached $1.8 billion in 2017, and there are 50 Japanese companies operating in Egypt,” the FM spokesperson noted. The cooperation also includes the construction of the fourth line of the Cairo metro and the tripartite cooperation between Japan's International Cooperation Agency (JICA) and the Egyptian Agency for Partnership and Development (EAPD).